Fletching is a useful skill allowing you to make your own bows and arrows, as well as several other useful types of weapons that are used in Ranging. This Members' skill is not only helpful for making weapons to Range with, but it's also a great and fun way to make a profit. Fletching can often be an interesting skill to work on in RuneScape, since you can make all sorts of different things with it. The skill can also be fun, as you're not standing in the same place all the time. Instead, you can move around working on the skill, and usually you will be gaining experience toward other skills as well. The necessary items for Fletching vary with the particular item you are creating, but there are two main items which are common to essentially all types of fletched items. Logs are required for cutting or whittling objects such as bows, arrow shafts and crossbow stocks. To obtain logs, cut down a tree using the Woodcutting skill. They may also be bought from other players on the Grand Exchange. A Knife is used to cut logs into items including bows, arrow shafts and crossbow stocks. There are Knife respawns located behind Bob's Axe store in Lumbridge, upstairs in the Varrock General Store, inside the Musa Point General Store, and in the house just south of the Seer's Village Pub. They may also be purchased from the East Ardougne Spice Stall, or from Arhein's Store in Catherby for 25gp. Members also have access to special knives from the Stealing Creation Activity. 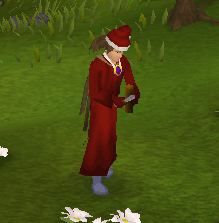 The Scared Clay Fletching Knife gives a 100% experience bonus when it is used to cut logs. Once you earn 30,000 experience from it, the knife will disappear. The Volatile Clay Fletching Knife gives a 120% experience bonus when used, and will transform back into a Volatile Tool once 10% of its charges have been used up. Use the logs on the Summoning Familiar to cut them into the item of your choice. Once you have the required materials, it's time to begin Fletching. To fletch an unstrung bow, arrow shafts or a crossbow stock, use your Knife on some logs in your inventory. A Fletching dialog will appear, allowing you to select the number and type of item you would like to create. After you select how many you would like to fletch, click the icon of the item to begin Fletching. By default, you will use up all of the logs in your inventory to make the maximum number of the selected item. To Fletch some arrows, you'll first need to make Arrow Shafts out of regular logs. One set of logs will make 15 Shafts, giving a total of 5xp. Now you need to obtain some feathers, and then use them with the arrow shafts. Each arrow needs just 1 feather, and you earn 1xp per feather you add. To finish the arrow, you need to get some Arrow Heads of the metal you want, either by Smithing or buying them from the Archery Shop in Catherby, the Ranging Guild, or King Lathas' Training Area. Use the heads with the arrows to finish them. You can repair arrows with your Construction and fletching skills by using them with a repair bench in your house. You will receive 8 xp per arrow. To make a bow, first Fletch either a Short Bow or a Long Bow out of the wood you wish to make the bow from. Now pick some Flax from either the field south of Camelot Castle, or from the Gnome Stronghold. Use the flax with a Spinning Wheel to get a Bowstring . Spinning Wheels can be found in the southeast corner of the Gnome Stronghold, upstairs in the house southwest of the Seer's Village bank, as well as in Lumbridge Castle, the Barbarian Village and Falador. Use the string with your Unstrung Bow to finish it. It's also worth noting that in the chart above, half of the experience comes from cutting logs into an unstrung bow, and the other half comes from stringing that bow. Using a combination of Smithing, Fletching, Crafting and Cooking, you'll be able to make your own Crossbows. These objects are made out of both metal and wood (as well as a string), and so they require you to use these three skills to complete them. First, use a knife with a set of logs to make a Crossbow Stock. Next, you need to make a set of Crossbow Limbs from metal. These can be made by using your Smithing skill. But remember, only certain kinds of metals will work with certain stocks. Once you have those pieces put together, you need to add a string to the crossbow (u) so that you can actually use it. This is fairly simple to do; first you need to cook some Bear Meat (or Beef) over a range, and choose to turn it into Sinew rather than making it into an edible piece of meat. Next, spin the Sinew on a Spinning Wheel (requires 10 Crafting) to make a Crossbow String. Lastly, just use the Crossbow String with your unfinished Crossbow to complete it! You can also Fletch several kinds of Bolts, as well as Darts with your Fletching Skill. Usually these are not made to increase your Fletching level, as they give less experience and are more time-consuming to make. To make a Dart, you'll need to have already completed the Tourist Trap Quest. First Smith some dart Tips of the type of metal you want to make the dart from. Then just add a feather to each dart to complete them. First get an Axe, some Nails of your preferred type, a Hammer and a Knife. Now cut down an Achey Tree and use the Knife with the Logs and choose the arrow shaft option. Use 4 feathers on the arrow shafts and you'll have some headless arrows. Next get your Hammer and Nails and use the nails on the headless arrows and you've made your Brutal Arrows. Note: you will make 2-6 arrows per set of logs. There are quite a few different kinds of bolts you can Fletch. You can make bolts from any type of metal, including Blurite, and add tips made from gems. All metal bolts, without gem tips, are able to be poisoned by using a Weapon Poison potion on them. To make a bolt, you need some Feathers and some Bolts (unf). Feathers can be bought from any Fishing Shop (such as the ones in Port Sarim or Catherby), or obtained from Chickens. Bolts (Unf) are made by smithing a metal bar on an anvil into bolts. Simply use the Feathers on the Bolts (Unf) to make some complete Bolts for use with a Crossbow. With bolts, there are two things worth noting. First, Blurite Bolts can only be made after completing the Knight's Sword Quest. Secondly, Silver Bolts are actually Crafted with a Silver Bolt Mould and a Silver Bar, rather than Smithed. You may also add Bolt Tips to your Bolts, which make them more powerful. Bolt Tips can be made from Pearls, Gems, Barbs and even a Mithril Grapple. Opal - Mine for some Opals at Shilo Village, and then use a Chisel with them to make Opal Tips. Now just use these with some regular bolts. Pearl - Obtain some Pearls by Fishing with a big net, and then chisel them into Pearl Tips. Use them with some regular bolts. Barbed - Buy 30 Barbed Tips from the Ticket Merchant in the Ranging Guild for 140 Tickets. Use them with regular bolts. Gem - Use a Chisel with a gem to cut it, and then use your chisel on it again to make bolt Tips. Any of the Gem-tipped bolts can be enchanted using your level 4 "Enchant Bolt" spell in your spellbook. There are all sorts of helpful effects that will give you an advantage in battle. See the "Crossbows & Bolts" section of the Ranging guide for more info about these enchantments.